Sometimes you just want to draw a line from here to there on the surface of fabric. That’s where the Stem or Outline Stitch comes to the rescue. 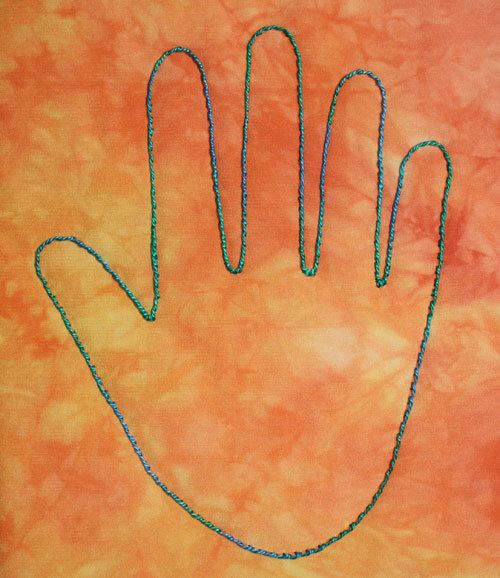 Think of the Stem Stitch or Outline Stitch as a line drawn with needle and thread. Here’s how to make Stem or Outline Stitches: Bring the needle and thread up at point A. Insert the needle tip at point B about 1/4″ from point A. Bring the needle tip up about half way back to A at point C. Draw the needle and thread through the fabric. Repeat the steps above with what was point C now becoming point A. 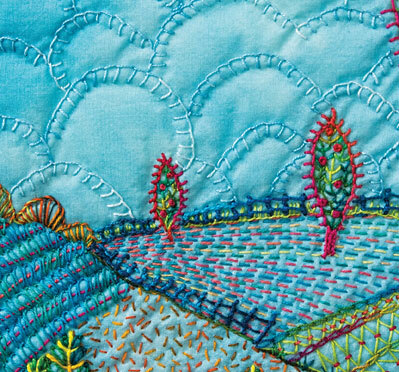 The Stem Stitch in not only handy stitch for outlining shapes but can also be used to draw flower stems, tree trunks, or fences to divide fields. When placed in adjacent rows, it can build solid shapes like the tree trunk in this example. 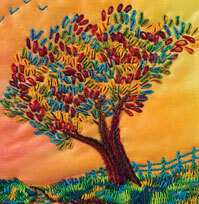 To delineate one shape from another on your quilt top, run the Stem or Outline Stitch just next to the fabric shape. 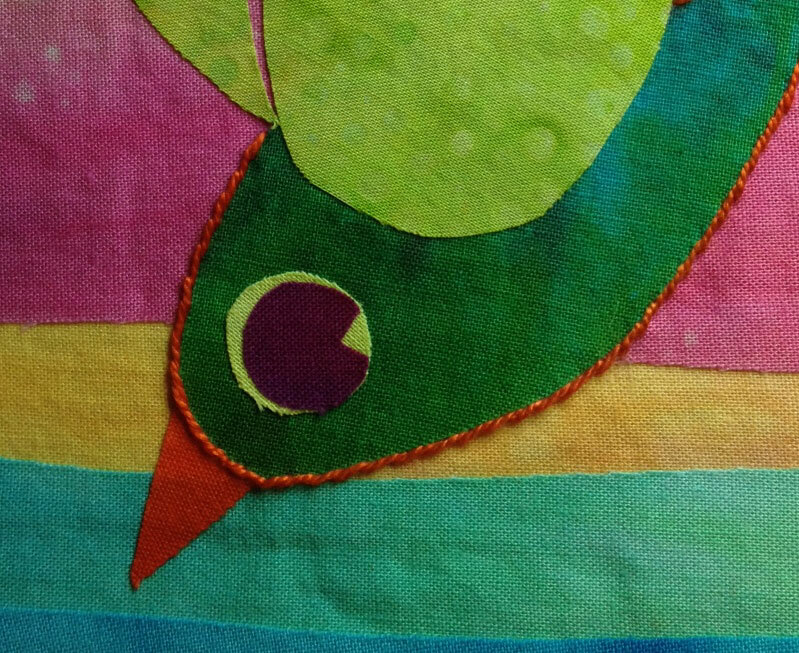 Chose a thread color that is contrasting in color or value to really make the shape pop like this Size 12 Oranges thread around the bird’s body.